One of the unique aspects of Venice, Italy is that it is a city without cars, buses or cycles - you must get around either by foot or by boat! The unique form of public transportation employed in Venice is known as the vaporetto ("little steamer" in Italian), a water bus that provides passage all throughout Venice and the islands of the Venetian lagoon. If you are visiting Venice on vacation, then it is worthwhile getting familiar with using the vaporetto water buses in advance as it will save you time, money and lots of potential confusion. The vaporetto buses are easy to use once you understand how they work - and that's what this page is all about! 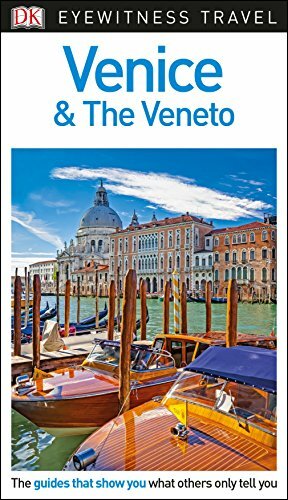 Find out where you can go on the vaporetto, where to get tickets and how much they cost, as well as learn basic vaporetto "etiquette" so that you can share these boats happily with the local Venetians. 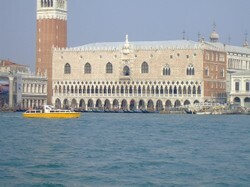 Image above: A vaporetto passes by in front of the Doge's Palace in Venice, Italy. All photos on this page are by the author, sockii, unless otherwise provided by Amazon. The vaporetto water buses are operated by Azienda Consorzio Trasporti Veneziano (ACTV), the Venetian public transportation system. You will see the "Actv" logo on all vaporatti and each boat is also clearly labelled with its route number. Vaporatto water buses have set bus stops throughout Venice, Giudecca, the Lido, Murano, Burano, and the other lagoon islands. It even seasonally travels to Chiogga and reaches the mainland at Treporti and Punta Sabbioni. Vaporetto stops are easy to spot - just look for the yellow-and-white floating docks with stop names clearly labelled. There are a number of different kinds of vaporetto boats used depending on the routes served. These boats have capacities for 160 to 1,200 passengers each, with the largest serving popular "commuter" routes such as S. Zaccaria Pieta to the Lido. There is also a car ferry from the Tronchetto parking island, on the edge of Venice, to the Lido - the only island in the lagoon with roads for cars. "Murano Faro", a vaporetto stop on the island of Murano. This great laminated map of Venice is well worth recommending for its detailed vaporetto route map alone. It clearly illustrates which lines stop where all around the Venetian lagoon - including which lines are seasonal only. Besides that it is an excellent street (and waterway) map of Venice, Murano, and Guidecca. It holds up far better than any simple paper map and is easy to read with major landmarks and attractions indicated. Where Can You Go On The Vaporetto? Take a cheap tour of the Grand Canal. Hop on the 1 or 2 vaporetto and see the entire length of the Grand Canal - for much cheaper than a gondola ride! The 1 is the City Center "local" line which stops at twenty stations along both sides of the Grand Canal. It then continues on to the beach resort island of the Lido. The 2 is the City Center "express" line which only seasonally goes to the Lido. Explore the Northern lagoon. The 13 will take you from Venice to Murano, Vignole, Sant'Erasmo and even all the way to Treporti, if you wish. It also stops on Lazzaretto Nuove on request. 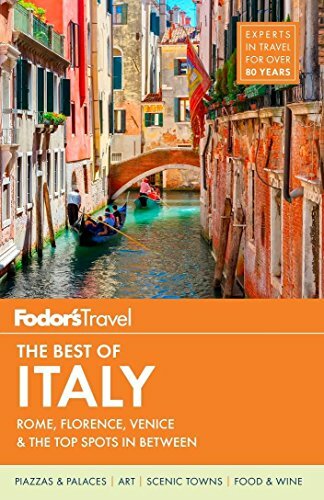 The 12 from Fondamente Nove is your fast trip to Mazzorbo and Burano, from where you can catch the 9 to Torcello and back. Explore the Southern lagoon. The islands of San Servolo and San Lazzaro degli Armeni are available on the route 20 vaporetto. Travel to the Giudecca, where one can enjoy the best views of Venice and a lovely evening meal as the sun sets over the City of Water. Visit the Lido, where beach lovers flock in the summer months, and local residents enjoy the bustling nightlife year round. Ride to colorful Burano, where lace makers sell their wares and excellent seafood can be enjoyed at many quaint trattorias. Enter the Northern lagoon and pass the ruins of old, abandoned monasteries, homes and colonies. Visit one of the former "plague islands" of the lagoon, Lazzaretto Nuovo, one of the spookiest places in all of Venice. How Much Does The Vaporetto Cost? See a complete listing of current vaporetto fares. What's your best option? That depends on your plans and the length of your stay, obviously. 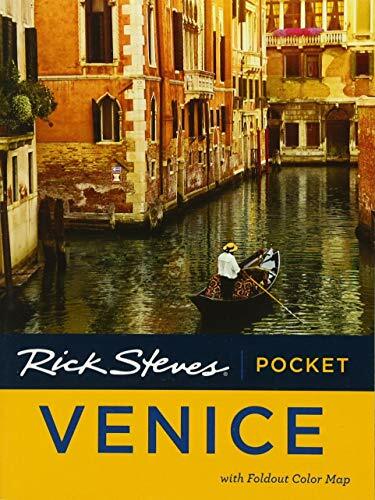 If you are only in Venice for a few days or it's your first trip there, and you plan on staying primarily on the main island itself, you may do best only purchasing single-ride tickets as and if you need them. However if you plan on exploring other islands in the lagoon, or maybe you're staying in a hotel located farther away from the main attractions you want to see, you could easily benefit from one of the multi-day passes. 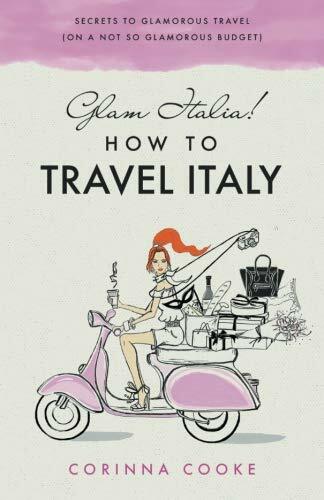 I'll give an example: On my most recent trip to Venice, we were staying there for 8 day. Three of those days would be busy with a group event where the organizers would be providing travel arrangements to and fro, so I knew we wouldn't need to use the vaporetto then. So we bought 3-day passes for the first few days of the trip and made good use of them, traveling to San Lazzaro degli Armeni one day which we had never visited, heading back to our apartment in Dorsoduro several times at night when we'd been exploring in Cannaregio, and a couple quick hops along the Grand Canal on the 1 line. All in all I found that we would have spent 105 Euros traveling by single passes versus the 80 Euros we spent buying two three day passes, so that worked out well. 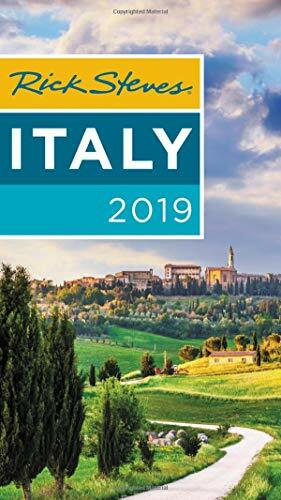 We also bought 24-hour passes for our last "day", to visit Torcello and Burano, and then to take the water bus to the train station the next morning before our passes expired. Again, three rides that would have cost us 45 Euros individually instead cost 40...a small savings but a savings nevertheless! Vaporetto stops along the Canale di San Marco in Venice. Another aspect of the vaporetto system which can be confusing to visitors is figuring out exactly WHERE you can buy your tickets. Major vaporetto stops, such as Ferrovia (the train station), Rialto, San Marco, Accademia, Fondamente Nove and Lido SME have ticket offices where you can purchase them directly from agents (who generally speak English as well as Italian well enough to communicate your request). Some of these stops also have automated ticket machines. You can also buy vaporetto tickets at any "Tabacchi"/convenience shop in Venice. They are easy to spot by their signs with a large "T" on it. Simply go to the counter and request the kind of card you want - it won't be activated until you tap it at a vaporetto stop. It is worth noting that most ticket offices - and tabacchi shops - are not open past early evening hours. So before you venture too far on a vaporetto for the evening, it is wise to make sure you have either a travelcard which will be good for your return trip, or you buy and keep on hand a pass you can activate for your ride home. One of the car ferry boats operated by Actv. Don't be caught without a ticket! Like much of the public and mass transportation in Italy, the vaporetto water buses operate on an "honor" system. When you buy a ticket, you "activate" it before your first boarding on one of the card reading machines at every vaporetto stop. (These machines will also tell you how much time you have left on a previously activated ticket.) Tickets are not collected or checked upon boarding, although some high traffic vaporetto stops now have gates which will only open if you "tap" an active card for entry. The boarding dock photographed above is at Fondamente Nove. The boarding dock photographed above is at Fondamente Nove. It shows that the 4.1, 4.2, 13 and N boats stop here. There is also a route map to consult, and above it a digital display indicating the next arriving buses. Not visible to the side is a timetable to consult to see the next available vaporettos. Note the small machine to the left of the route map - that is where you tap your vaporetto ticket to activate it or check its expiration time. All vaporetto stops will typically have a schedule posted, showing when and how late various boat lines run. Do consult these timetables if traveling to "distant" points before you begin wandering - so you know how late the boats will run and how frequently! Vaporetto docks typically have an entry point indicated for boarding and for disembarking. Please be courteous and follow these directions, and allow passengers to disembark the boat before jumping on. Some popular routes can be very busy and crowded. If you must make a certain connection, be sure to stand right at the front of the boarding dock while you wait for the vaporetto boat - Italians don't tend to pay much attention to queuing and will just push ahead of you to get on board if need be. The bus conductors will stop allowing on passengers when a boat is full. Additionally, be courteous and file through to the back of the boat on crowded routes. Give everyone plenty of room to board and get off as needed. Be sure you're waiting at the proper dock. Some of the most popular stops, such as San Marco and Fondamente Nove, have multiple docks for the different lines (and directions). Be sure to check you are in the right spot to get on the boat you want - they won't wait for you while you go running for your connection! Don't confuse vaporetto boats (with the Actv logo) with Alilaguna ferry boats. The Alilaguna line has its own separate ticketing and is primarily for transportation to and from the airport. 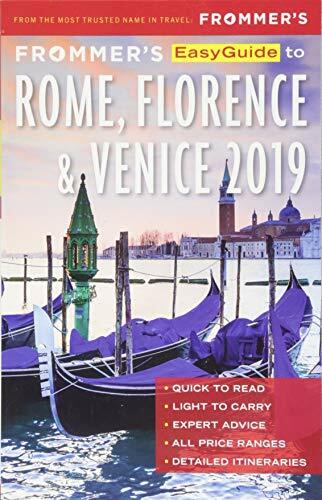 The vaporetto will take you to Piazzale Roma, but from there you need to take a connecting bus service to Marco Polo Airport. For lines that go in multiple directions (clockwise/counterclockwise), check the signs posted on the boat or the digital displays to confirm the boat is going in the direction you want. In the evenings, some vaporetto lines may only stop at major stations or end their route early. Be sure to check on-boat displays or ask before you board. The "N" line offers overnight service to major vaporetto stops, but on a limited schedule - be sure to check it before waiting for a boat! Enjoy a full vaporetto ride here...even if you can't get to Venice! The official website for Actv, which operates the vaporetto lines in Venice. Look up schedules between different departure points, get notices on any service disruptions or delays, and find out what else you need to know about the vaporetto services. Excellent large map showing all of the vaporetto stops around Venice and the lagoon, in scale. Standard route map provided by Actv.it. Illustrates which buses stop where. Not in scale. Detailed articles from Europe for Visitors. Planning a trip? Then be sure to do your research first!